The Document Delivery request forms are currently unavailable. We hope to have them back up soon, but in the meantime, please send your requests to docdel@dal.ca. UPDATE: Thurs., May 11: Access to the Document Delivery request forms has been restored. We thank you for your patience. The University Archives is very pleased to announce a new free digitization service to increase digital access to archival material held by the Dal Libraries: the Archives Document Delivery Service. For the next six months, the Libraries will test a new service where Dalhousie students, faculty, and staff can request free digital copies of archival material found in the Archives Catalogue and Online Collections. Consortia members and external researchers should continue to refer to the reproduction services and fee schedule document on the Archives website. Users should consult the Archives Catalogue and Online Collections to find files and items of interest. The service is very similar to the electronic delivery of journal articles requested through Document Delivery. But it is limited to archival material held by the Dalhousie Libraries. Please note that the actual archival materials will not circulate. The service will provide digital copies. Where Can I Find Help Using the Archives Document Delivery Service? Staff in the University Archives can provide assistance searching the Archives Catalogue and completing the Archives Request form. You can visit the Archives and Special Collections Reading Room on the 5th Floor of the Killam Memorial Library between 11:00 and 5:00, Monday-Friday. You can also call the Reading Room at 902-494-3615 or email us at duasc@dal.ca. We have detailed instructions on searching and browsing the Archives Catalogue. The Guide to Archival Research has more information. What Kind of Archival Material Can I Request? My Request was Cancelled. What Happened? The file has access and/or use restrictions. The request exceeds the definition of “short excerpt” in the Dalhousie Fair Dealing Guidelines. The file contains audiovisual material and/or electronic records that cannot be scanned with existing equipment in the Libraries. Some or all textual materials are bound in a way that prevents suitable preservation scans from being created with existing equipment in the Libraries. In some cases, Libraries staff may contact you to discuss the possibility of scanning a portion of the material or to clarify the nature of your request. How Long Does it Take to Receive a Request? The Archives Document Delivery Service will use the existing document delivery time guidelines to measure the Libraries’ ability to fulfill free archives digitization requests in a timely manner. Members of the Dalhousie community may be accustomed to receiving scanned journal articles within a day or two even though delivery can take 2-3 weeks. The digitization process we will be testing is more complicated and time consuming and we anticipate an average request fulfillment time of 1-2 weeks. If you have a deadline for your material please either use the “Not Useful After” calendar available on the web request form or add a note in the Notes field. You can also email the staff at docdel@dal.ca and they can check where the item is coming from and give you an estimated time of arrival. Urgent surcharge and same day service are not available. Yes, please! This is a pilot initiative to assess the Libraries’ capacity to digitize archival material as a free service for Dalhousie students, faculty, and staff. Digitizing archival material can be time-consuming and complex, so we anticipate a few bumps as we launch this pilot initative. Please provide feedback by emailing duasc@dal.ca. 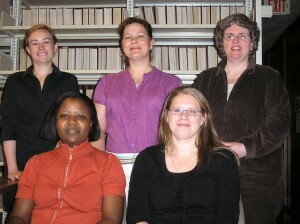 We wish to advise the Dalhousie community, in particular faculty and graduate students whose research requires Canadian material not held at Dalhousie, that Library and Archives Canada (LAC) is planning on closing their interlibrary loan service as of February 2013 due to budget cuts. This closure will impact on our ability to get certain materials through our Document Delivery service, especially newspapers and archival material on microfilm, Canadian short run journals and small press books, as LAC is often the only location for these items. If you are currently working on research which will require this type of material we encourage you to place your Document Delivery requests for them well in advance of 2013. We would appreciate it if you could please pass this news on to any of your colleagues or students who could be affected by this closure but who may not see this notice. 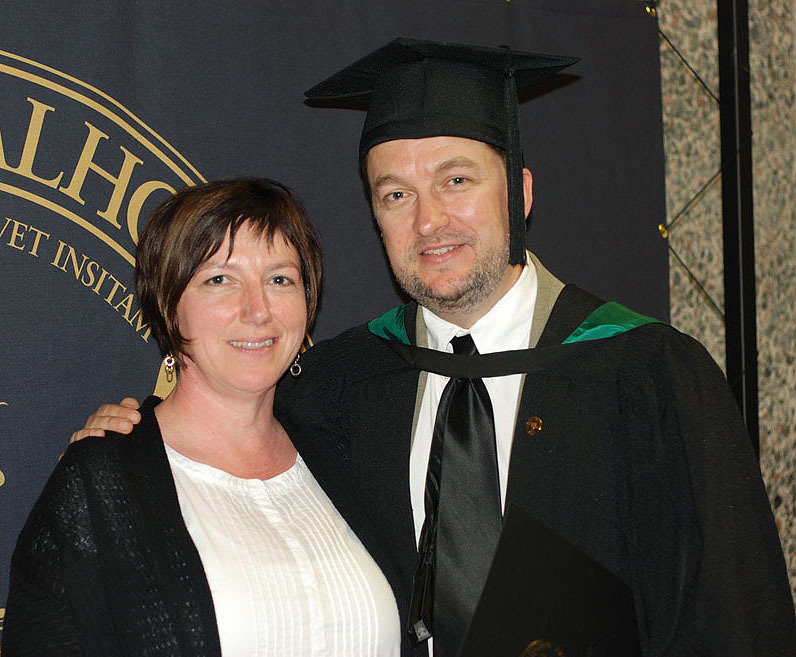 Joe Wickens, Head of Document Delivery at the Kellogg Health Sciences Library since 2003, graduated on June 1 with a degree in Master of Library and Information Studies (MLIS). Quite an accomplishment for a guy with a full-time job. 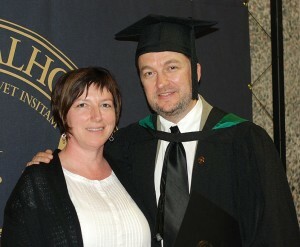 Congrats Joe, we’re proud of you! PLEASE NOTE: As of August 31, 2009 Dalhousie-affiliated users will no longer be eligible for LoansomeDoc Services. Instead, Dalhousie users can use the (GetIt@Dal) button appearing in all PubMed citations as well citations in most other Dalhousie-subscribed bibliographic databases. This feature allows you to connect to electronic full-text, Online Catalogue searching, as well as direct export to the Dalhousie Document Delivery request form. For more information on the many uses of this feature view this short video. Health professionals in Atlantic Canada will, however, still be able to use the Loansome Doc service. Document Delivery staff at the Killam Library are delighted to welcome Christine Hatton, who joined the department on May 19. Christine comes to the Killam from the Sexton Library where she has worked since 1990. She was responsible for all the interlibrary loan services offered from that library prior to and after the re-organization of the Dalhousie Libraries document delivery services in 2007. In her new capacity Christine will have the opportunity to become familiar with all aspects of the document delivery management system and to refresh her expertise with processing incoming patron requests. Her experience and knowledge will be very valuable to the department. Welcome Christine! Document Delivery Services has recently applied an upgrade to the request management system which now permits you to use the same username/password combination to access the document delivery web forms as you use to access your Novanet library account. The username for both systems is, as it was, the 14 digit Dalhousie barcode. The password will be the password used to access your Novanet library account. Normally this password would be the last 4 digits of the phone number on file at Circulation, but patrons who have changed their password in Novanet should now use that password to login to the document delivery web forms. The upgrade permits immediate access to the forms after registration at Circulation, but it also requires users to have an up-to-date Circulation record. If you have any difficulty accessing the document delivery request forms, please contact any Dalhousie Library Circulation department or Dalhousie Document Delivery Services for assistance. We apologize to any of our patrons who might have experienced difficulties accessing these forms during this transition period. Your patience is appreciated! Further information regarding access and policies can be found on our Document Delivery page.